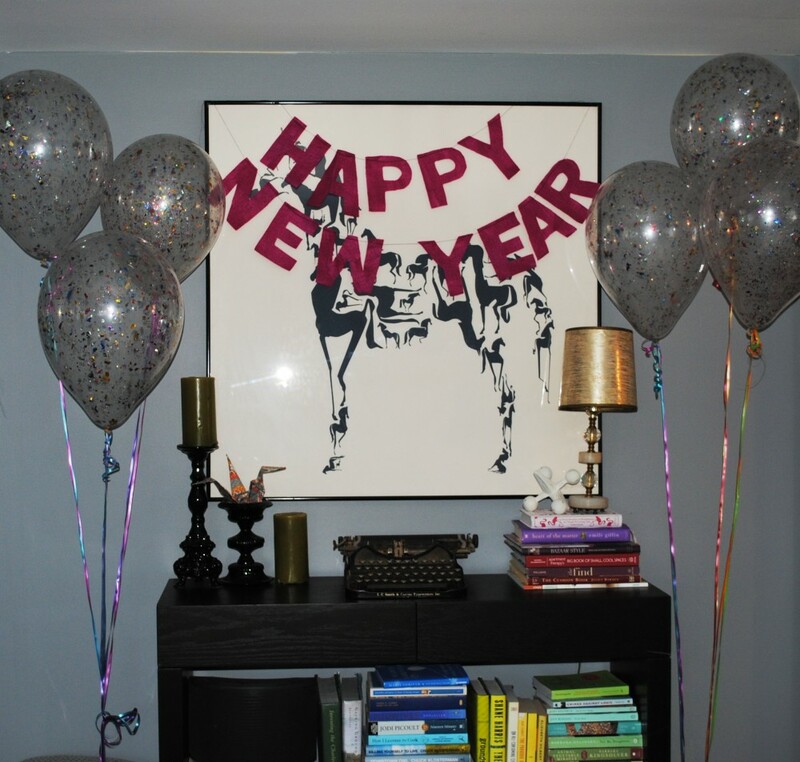 As promised, I have a few pictures of my New Years Eve decorations to share today. I know lots of people hate on New Years Eve because it’s usually expensive, cold, and overhyped… but I have a hard time hating on a holiday that celebrates with cases of champagne and sparkly tiaras. 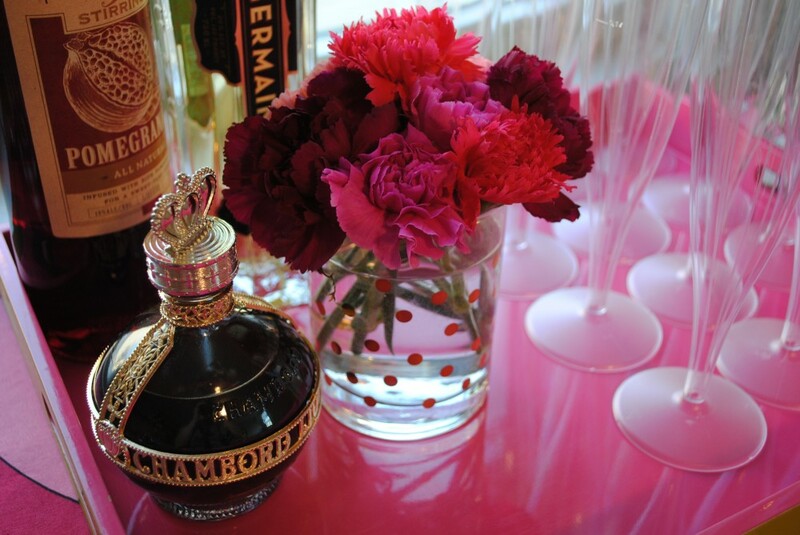 My color theme for the party was bright pinks and jewel tones, and I got to use some of the gold polka-dot glasses that I received as a gift to hold clusters of carnations. Then I used remnants of Ikea fabric to cover the bar and whipped up a banner out of leftover felt from my tree skirt projects. And I made another sign for the living room, also with leftover felt. Plus I got some festive confetti balloons from the party store — I thought they were part of the plastic but later realized when one popped over my head that they were in fact just clear balloons filled with real confetti! I also repurposed my felt garland from the Christmas tree and wove it around tables and hung it from windows and picture frames, it was worth all of the tedious cutting and sewing now that they’ve been used for multiple events! Overall the night was a success! How was your New Years Eve? Did you play hostess too? Back in the swing of things. Brats and cupcakes. 11 Responses to "NYE Recap." Totally chic. 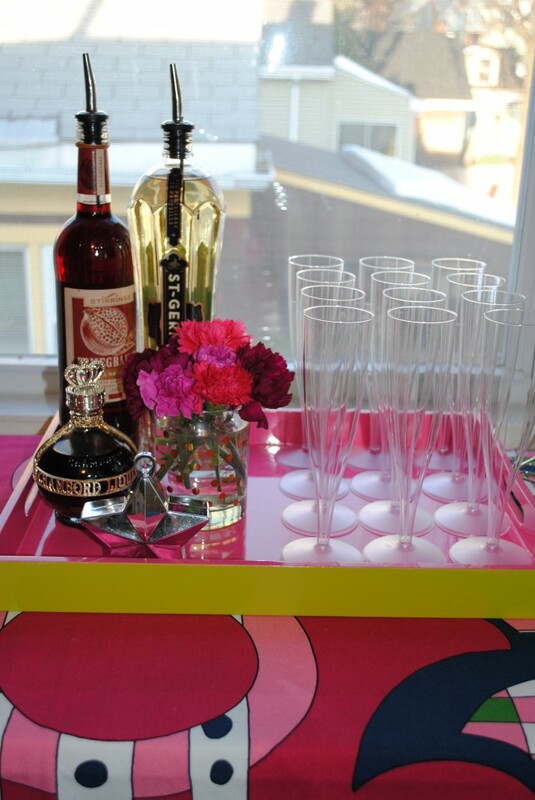 Love the creativity…I’d come to your party any day! Those balloons…love! Lovely decor! I did champagne with a splash of chambord too 🙂 With St. G is one of my faves, as well. The balloons, gold polka dots on the vase and felt garland are killing me. Your party looks like it was a success. Plus champagne and Chambord is a great cocktail! love this – so festive and pretty! 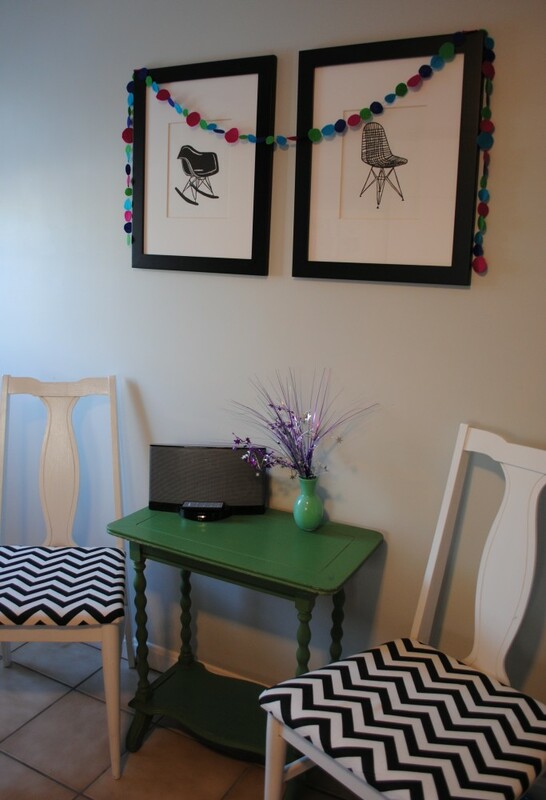 and i ADORE your chevron patterned chairs in the last photo! 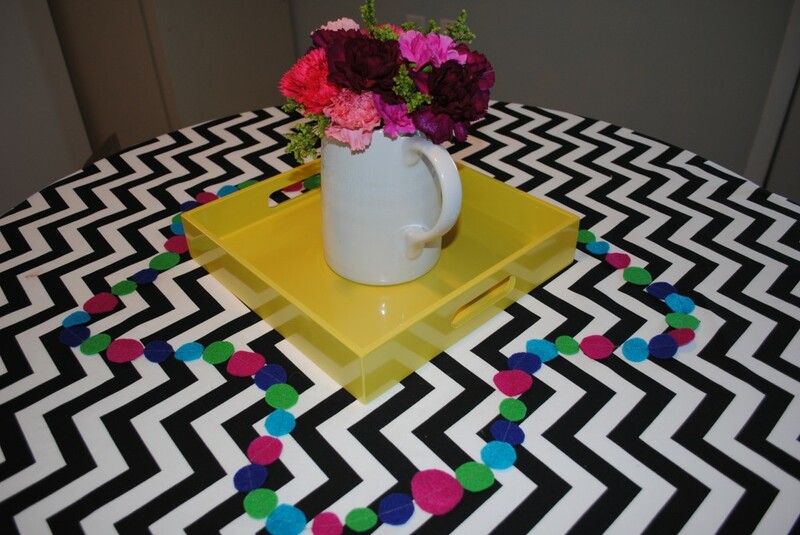 If the party was anywhere near as great as the decor, then I’m sure it was a huge success! Love all of the details – and those confetti balloons! Oh how I love those glittery balloons. And the flowers. And the Happy New Year over the black and white artwork. Should I keep going…. So so so cute!! 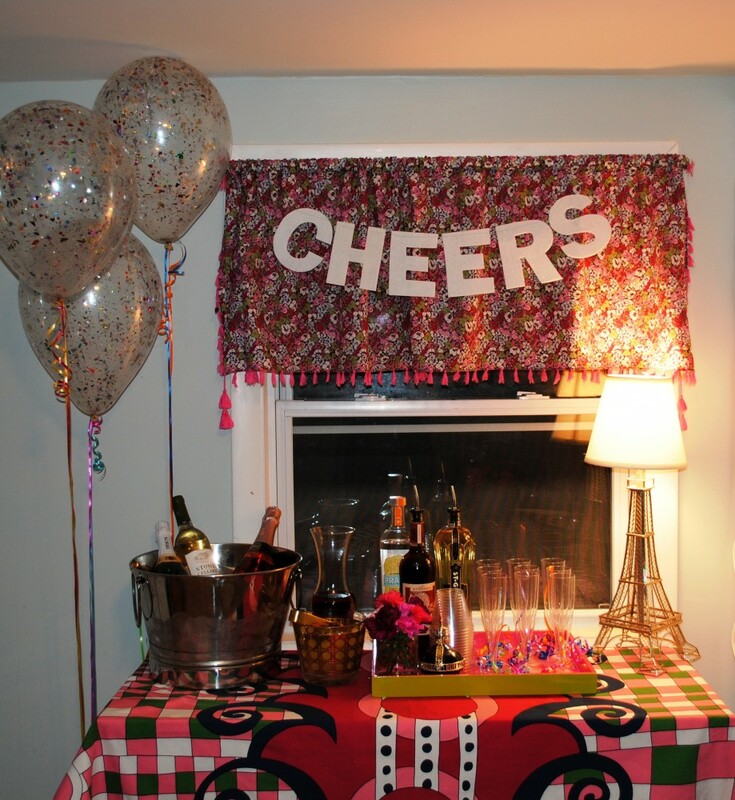 What fun decorations for a New Year party! so cute! don’t you love your pier 1 glasses?